Lieutenant Jason Hodder is the Jail Bureau Commander. Lt. Hodder has been with the Sheriff's Office for 15 years. In addition to his duties overseeing the Jail Bureau, Lt. Hodder is a member of the in-service training unit for our deputies. 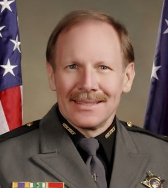 You may reach Lt. Hodder at 740-652-7256. All visitation for prisoners is conducted at the facility at 345 Lincoln Ave., Lancaster. Visitation with prisoners is conducted through a monitor system referred to as video visitation. You MUST schedule a visit 48 hours in advance. You can schedule a visit on the kiosk located in the jail lobby or online at www.icsolutions.com. If you have any questions, call Customer Care at: 888-506-8407. You must be on time for the visit. If you are late, 10 minutes or more, you will not be allowed to visit. Visitors must provide a photo ID. After the receptionist has checked your ID, you will be directed to one of the visitation booths located next to the lobby area. The inmate must log into the system for the monitor to work in the housing unit. Prisoners are permitted one (1) twenty minute visit per week. Money can be deposited on an inmate's account by using a kiosk machine that is in the lobby of the Jail 345 Lincoln Ave., Lancaster. The kiosk machine operates by a touch screen and is user friendly. The kiosk machine will accept cash money in denominations of $5, 10, 20, 50 and 100 dollar bills or a credit or debit bank card. The kiosk machine will NOT accept $1.00 dollar bills or coins. Money orders can be mailed to inmates. Money can also be deposited onto an inmate's account without having to come to the jail by calling a toll free number or via the internet. The toll free number is 866-345-1884. Deposit money using a credit or debit card over the internet, the web address is www.inmatedeposits.com. The Fairfield County Sheriff's Office has collect telephones in all housing units within the detention facilities. The following information is being provided due to the number of questions concerning what to do when you have a problem receiving phone calls from inmates. Prisoners may receive letters but NO photographs are allowed. To write to a prisoner use the following address: (prisoner’s name), Fairfield County Jail, 345 Lincoln Ave., Lancaster, Ohio 43130. For persons ordered by the court to report to jail to serve a sentence, the following information is being provided so that you will understand where to report and what you need to bring and not bring. Reporting Time: It is your responsibility to report to the jail at the time ordered by the sentencing judge. Your reporting date and time will be listed on the court ordered commitment paperwork. If you have an emergency which causes you to be late to report, you should still report to the jail as ordered even though you are late. Late arrivals will be reported to the sentencing court and may result in your release being extended. Identification: You will need to bring a government photo identification and health insurance or medical card with you when you report to the jail. Clothing: While in jail you will be issued jail clothing. Prisoners who have been arrested and confined in Jail may order socks and underwear from their commissary account. Money: You will be permitted to purchase food and hygiene items through the jail commissary. Commissary is ordered on Monday and delivered on Wednesday. If you are serving only a weekend, do not bring money with you. Medications: If you are currently taking prescription medications, you may bring them with you. All prescriptions will be verified by the jail medical staff before you will be able to receive them. Contraband: It is a FELONY for any person who attempts to convey drugs, weapons or intoxicating liquor into a jail. Any person found attempting to smuggle or who successfully conveys illegal contraband into the jail will criminally charged as allowed under Ohio Revised Code section 2921.36. Illegal contraband includes any weapons, dangerous ordnance, drugs of abuse, intoxicating liquor or cash money. The jail is a non smoking facility. Prisoners are prohibited from possessing any tobacco products or lighting materials (matches, lighters). Attempts to smuggle tobacco, lighters, matches etc. into the jail will result in the prisoner being charged with violating the jail's Prisoner Rules of Conduct. Prisoners found guilty will face disciplinary action that may result in confinement in isolation or loss of privileges. The jail kitchen is managed by Aramark, a private food service contractor. All prisoner meals are prepared on site in the jail kitchen. Prisoners are provided nutritious meals three times a day. The kitchen uses a five week menu cycle that is certified by a licensed nutritionist. Each month the kitchen staff prepares thousands of meals. Medical services for prisoners at the jail operate under the medical license and supervision of a certified licensed physician. Assisting the jail physician with the medical care are three full time nurses. All prisoners have access to emergency medical care. Prisoners who need emergency medical treatment are transported by squad to the Fairfield Medical Center. Prisoners experiencing a non-emergency medical problem that want to see the medical staff are required to fill out a sick call form before seeing the jail physician. The jail physician holds sick call for prisoners each week. Medications are distributed to the prisoners each day by jail staff at regularly scheduled times. All medications brought to the jail by family members or friends of prisoners and medications received from prisoners during their booking-intake process are screened by the jail medical staff prior to being distributed to a prisoner. The jail uses digital technology to fingerprint prisoners. This technology allows identification of persons in one-tenth the amount of time that was required by the old manual fingerprinting methods. In cooperation and coordination with both the Municipal and Common Pleas Courts, the jail staff conducts video arraignments for misdemeanor cases and felony cases, Monday through Friday. The use of video arraignments is a valuable tool which saves both time and money and greatly reduces the security and safety risks involved in transporting prisoners out of the jail to their court arraignments. The Fairfield County Sheriff’s Office Court Security Detail is responsible for security of the Fairfield County Hall of Justice and County Commissioners Building. The normal hours of operation for the Hall of Justice are 7:00 am - 6:00 pm on Mondays and Thursdays and 7:00 am - 5 pm Tuesdays, Wednesdays and Fridays. All persons entering the Hall of Justice are required to remove objects from their pockets and walk through a metal detector. All packages and carry-type bags are sent through an x-ray machine. The security checks are required to maintain the safety and welfare of all who enter these buildings. The Court Security Detail also maintains a roving patrol at irregular intervals through these buildings. Educational classes are held on Monday and Wednesday each week for prisoners. An instructor from the Fairfield County Adult Education Department teaches the class. The classes are free of charge to most prisoners staying at the facility. Classes are designed to improve the reading and math skills of the prisoners, as well as assist them in attaining their G.E.D. certificate. AA Counselors currently hold group meetings on Tuesday evenings for female prisoners and Wednesday evenings for male prisoners. Available on a case by case basis to be determined by the Jail Supervisor. The Fairfield County Reentry Coalition was developed in May of 2010 to address the needs of offenders returning to our community from prison or jail. 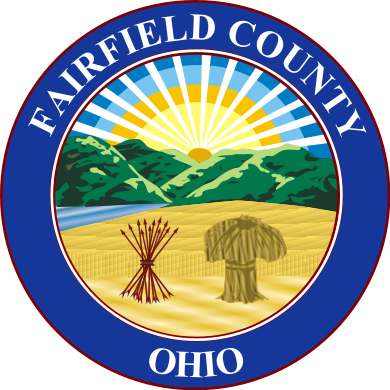 Fairfield County Job & Family Services was awarded a grant to develop a coalition of social service agencies, law enforcement, community members, faith based groups, and ex-offenders with the common goal of keeping our community safe. Mission: Building a safer community and reducing recidivism in Fairfield County by providing evidence based models of successful reentry through social service agencies, citizens, law enforcement and ex-offenders re-entering Fairfield County from an institution or jail. Vision: Creating a safer community and productive citizens by offering an opportunity for social service agencies, law enforcement, businesses, ex-offenders, and citizens of Fairfield County to join together and develop a strategic plan to reduce recidivism in Fairfield County.